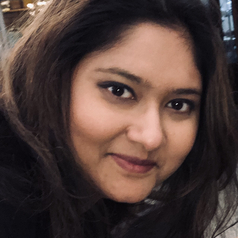 Ranjana Das is a Senior Lecturer at the University of Surrey and Director of the 14 country consortium CEDAR, funded by the Arts and Humanities Research Council, UK. She writes about media audiences and digital media users in the context of media transformations and has parallel research interests in digital media, maternity, parenting and public engagement with healthcare. Projects she currently leads are funded by the Arts and Humanities Research Council, the British Academy and the Wellcome Trust.